BMG, which acquired FPT Distribution SA (Fenner Power Transmission) over 20 years ago, celebrates Fenner’s 90th anniversary of business in South Africa this year. “BMG is proud to be the exclusive distributor of the highly-acclaimed Fenner products, all manufactured in South Africa,” says Carlo Beukes, business unit manager, Power Transmission, BMG. “Fenner, founded in the UK in 1861 by JH Fenner, remains a premium brand in power transmission that engineers depend on and trust. 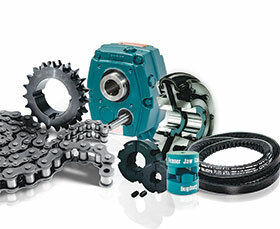 BMG’s Fenner range, which consists of transmission and drive chains, vee and wedge belts, tyre and grid couplings, timing belts, sprockets, pulleys and shaft mounted speed reducers, enables BMG to work with all sectors of industry. The company also services the industrial and mining replacement and resale markets, and is a supplier to original equipment manufacturers. A strategic decision was made by BMG earlier this year to expand the portfolio through the addition of Fenner conveyor belting products. Through a long-term agreement with Fenner Conveyor Belting, BMG is now the exclusive distributor of Fenner conveyor belting products locally and in sub-Saharan Africa. BMG, with its technically competent team and well established network of over 130 branches, is well-positioned to develop sales opportunities and provide support for the entire Fenner portfolio.